Born in 1967, and raised on Long Island, Dave got into Rock music very young, and went on to play in bands all through high school and college. While attending American University Dave was deeply inspired by a jazz history class taught by the great Jazz Historian Rusty Hassan, and was bitten by the “ Jazz Bug “. Eventually he settled into the Washington D.C. jazz scene where he studied with guitarists Paul Bollenback and Paul Wingo. He also studied ear training with Asher Zlotnik. Based in Washington DC, Dave Mosick maintains a busy schedule performing, as both a leader and sideman. 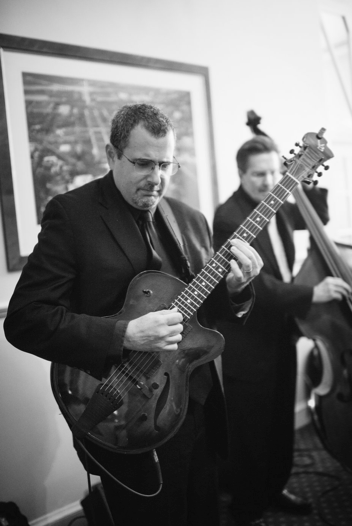 Dave is also an in demand Jazz educator, regularly hosting clinics and giving private lessons. In August 2003 Dave was the featured jazz guitar clinician at The Washington Jazz Academy. 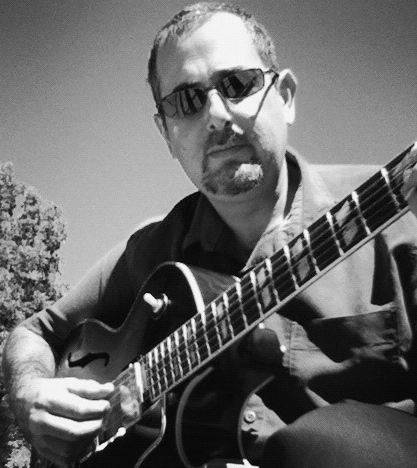 Dave’s unique concepts in Jazz Improvisation have been published in Just Jazz Guitar Magazine. 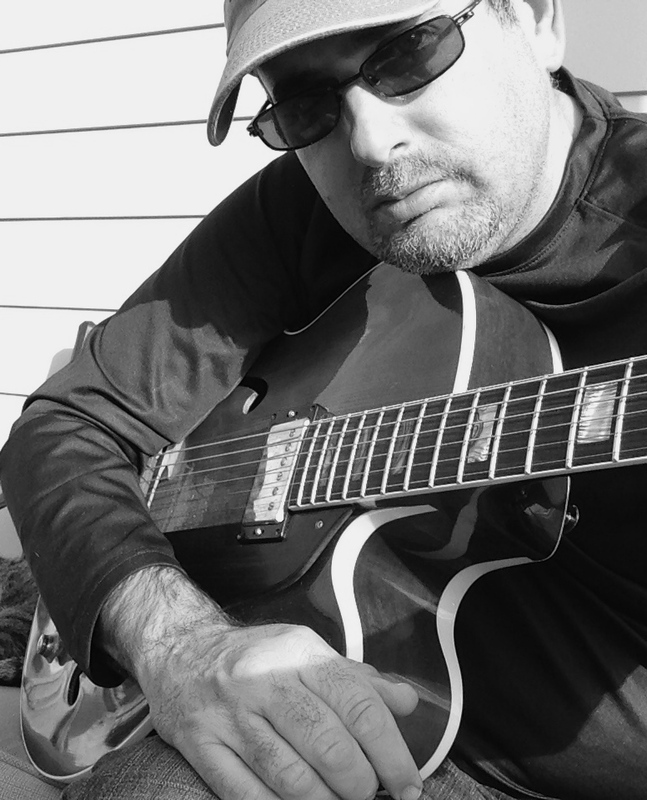 Guitarist Dave Mosick’s roots in mainstream jazz give him depth and scope, while his original melodic approach to his own bright new compositions gives him high standing in today’s contemporary context. With Skill Grace and sensitivity, Mosick spans the emotional and conceptual spectrum from mellow, subtle and intimate to muscular, speedy and whimsical. Throughout Amalgamation he plays with elegant taste and quiet fire, accompanied by the superb offerings of bassist Eric Harper and drummer John Greeley. An excellent album, a fine trio, a first-class guitarist. Catch him on the rise. Contact Dave to talk about how he teaches and lesson availabilities. Mosick is a guitarist with outstanding ability, and a depth of understanding of the musical vocabulary. The sound is beautiful, the style clear and delightful. His execution is an example to all young guitarists… inventive and far reaching. Whether it’s inquiring about booking a performance, scheduling guitar lessons or a just about anything else, I try to respond within the same day – gig plans permitting.